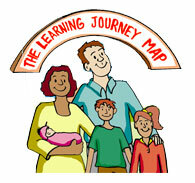 Your Learning Journey MapTM for Parent Coaches as a tool for client success. This is where you work with your coaching client to clearly establish their non-negotiables? What are the rules by which they are willing to be coached and Lead or Manager their team? - no matter what! What agreements can you as their coach assist them to create with their team so everyone is on the same page? Then simply Contact Bringing Up Your Parents to find out how. Setting goals and direction for your clients and their team's works with creating and aligning their vision for success. What is their Vision for themselves as a leader and their team over the next 12 months, 2 years, 3 years? This is a critical key to any leader's success. One of the biggest challenges for any leader is their degree of flexibility and adaptability in any given situation or context. It is the ability of a leader to influence, inspire and motivate towards the result. You as their coach will easily build rapport and engage in assisting them to understand and develop their flexibility and adaptability strengths. Gaining your client's level of commitment to their own outcomes can be an interesting challenge for any coach. Developing your client's attitude towards commitment 'to the cause' that will be role -modelled to others is a measure of your success as a coach. The Learning Journey Map for Coaches will provide you with an easy workable framework. How do your client's ensure that the fun factor is alive and well within them and their team? How do you ensure that there is a fun factor on a daily and weekly basis? What is their celebration culture when they succeed? What could be their celebration culture? Then simply contact Bringing Up Your Parents to find out how.